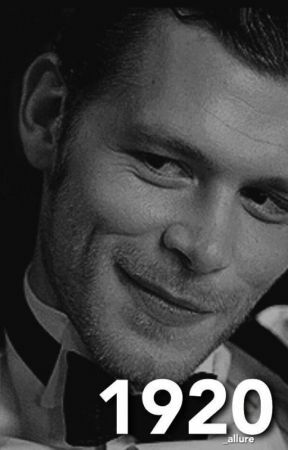 Klaus Mikaelson&apos;s blue eyes eagerly scanned the extravagant Sterling ball, not noticing all the women eyeing him like a piece of meat. He only had eyes for one woman, Isabel Sterling. He felt as if the wind had been knocked out of him when he saw her, her honey blonde hair in her signature perfect pin curls. Her green eyes perfectly decorated with a gold eye shadow and her full lips painted the perfect shade of red. She was dressed in a pale pink mermaid gown with folds of tulle that perfectly elongated her figure, rose-gold beads decorating the bust. Her lips curled into a small smile as her eyes met Klaus&apos;s who heart felt like it was about to beat out of his chest. "I&apos;m so pleased you could both make it. Rebekah, you look darling," Isabel says in her soft tone, lightly kissing Rebekah&apos;s cheek as to not leave any lipstick. "I cannot thank you enough for the dress. You look like perfection," Rebekah says, smoothing out the dress she had received from Isabel. It was a pale lilac color with dark purple beads decorating the bust, it wasn&apos;t as fitted as Isabel&apos;s but it fell off of Rebekah&apos;s frame perfectly. Rebekah had been shocked when she read the card. Normally the original had been one to do such things but was surprised at the younger girls hospitality. Rebekah had been eager to thank her in person. "I do agree with my sister, you do look like perfection," Klaus says, a smirk placed on his face. "Aren&apos;t you a charmer? Rebekah, I have someone I would like to introduce you too," Isabel says, linking her arm through the vampires and walking away. Throwing a saucy glance at Klaus before disappearing into the crowd of people, shaking his head he sets out on a quest for alcohol. "I do believe tonight was a success," Jason says once most of the guests had left, he had invited both Klaus and Rebekah to stay for a few drinks after. "It was a lovely party, everyone wanted to get in," Rebekah says and Jason just smiles as he pours drinks. He was the type of person that loved attention very much like Rebekah. "Parties are so full of appearances, I do not enjoy them as much as Jason," Isabel says, sipping her drink. "Oh sister, if only we could all be as humble as you," Jason teases her which makes her laugh, a light easy tone that surprises the Mikaelson siblings. "We have been to your home twice now, you must come to ours," Rebekah smiles at the Sterling siblings. Happy to find two people that are both supernatural and enjoy the original vampires company. "That would be lovely, we must all go to Gloria&apos;s some time soon as well," Jason chimes in, a grin placed on his face as there always seemed to be. "Splendid! We have not seen either of you there in quite a while," Rebekah says. 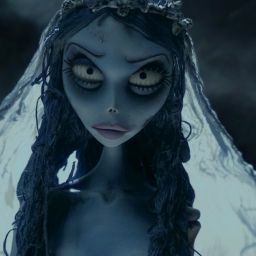 "Isabel prefers solitude and I do not like leaving her here alone at night," Jason explains which makes Isabel roll her eyes. "I feel much the same way about Rebekah," Klaus agrees which makes the girls make eye contact and burst out laughing. "Isabel used to be a social butterfly before..," Jason trails off uncomfortably, the alcohol seeming to have taken control of his tongue. Isabel&apos;s cat like eyes are narrowed as she stands up. "I apologize but my head is slamming," Isabel says, smiling an ice cold smile and leaving the parlor. Once the heavy oak door is shut behind her Jason deeply sighs, running a hand over his face at his stupidity. "Please do forget I said anything," Jason says and Rebekah easily changes the topic, Jason following along half heartily. But Klaus can&apos;t help but wonder, before what? What do you guys think of Klaus and Isabel&apos;s relationship? Also I haven&apos;t given a lot of details but why did Isabel snap and kill those people? What will Klaus think when he hears the full version?